Grades 10th - Junior College as of Fall of 2019 (limited by number of participants). At least one year of varsity football experience is strongly recommended. Competitive Elite Camp for all offensive and defensive positions. Opportunity to work with the University of Utah Coaching Staff. 2-way players will have the opportunity to work both sides of the ball. 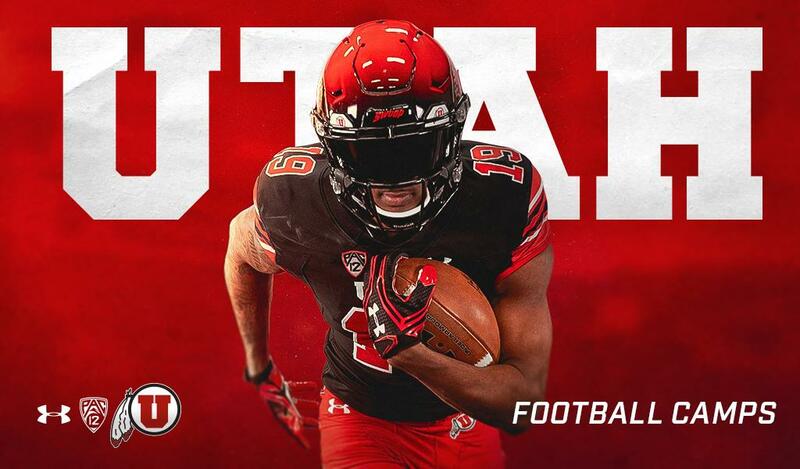 Offense/Defense Registration: Check-in will be from 7:30 AM - 8:30 AM at the Spence and Cleone Eccles Football Center, 580 S. Guardsman Way, Salt Lake City, UT 84112. Please arrive on time, as camp will start at 9:00 AM sharp. Offense/Defense: Camper pick-up will be at 1:00 PM. Pick-up location will be at the Spence Eccles Fieldhouse. Offense/Defense: This is a half padded camp. All campers are required to have the following: helmet w/ facemask and chin strap; mouth guard; shoulder pads, jersey. Campers should wear athletic shorts and football cleats. An official Under Armour Utah Football Camp T-shirt will be given to each camper at check-in. A meal will be provided at the end of camp. Water will be available to campers during practice. Spectators are welcome at all sessions of camp. We ask that you set up your chairs well behind the sidelines.